TechLine Mfg. offers various supports for its Snap Track products including hangers, brackets, and clamps. 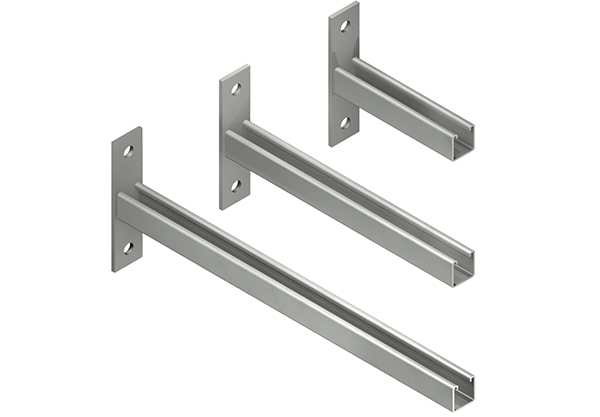 Click here Click here to view All Strut Wall Bracket/Cantilever Bracket Cut Sheet. Used for various mountings of SnapTrack and other support needs. • Comes in 12”, 18” and 24” lengths. Other lengths available for fabrication upon request. • Standard 1 5/8” x 1 5/8” Slotted Strut. Also available in Solid Strut. • Accepts all standard strut fasteners and strut clamps. 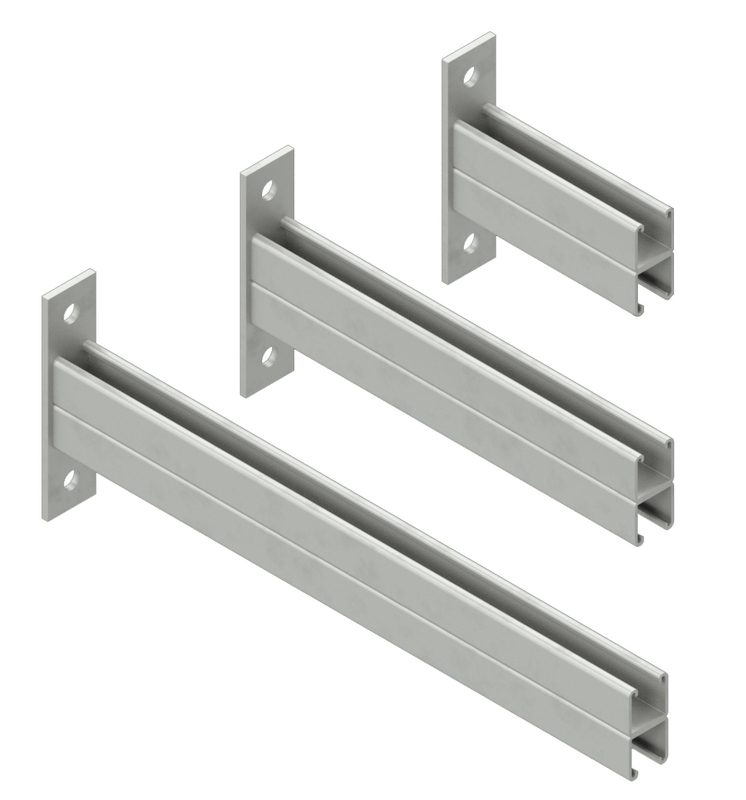 • Standard material is Aluminum, SS and Galvanized Carbon Steel are also available.